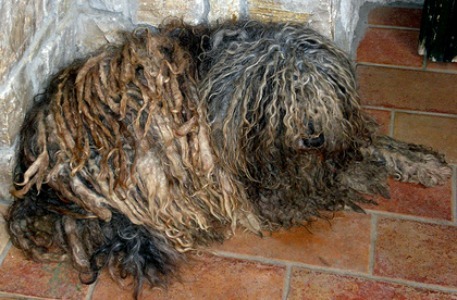 The Bergamasco Sheepdog is one weird looking dog! It's fur changes as it grows from a cute fluffy puppy into a scruffy teenage rebel before eventually becoming the dreadlocked cool dude in adulthood! In terms of personality, the Bergamaso Sheepdog (or Bergamasco Shepherd as he is also known) is a friendly, intelligent, peaceful and well balanced breed. He loves children - his natural herding and protective naturally comes out when he is around kids and the Bergamasco dog breed has been successfully used as a therapy dog for disabled children. 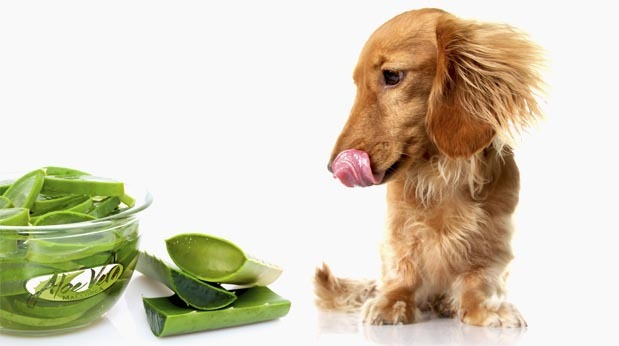 They have 3 different types of hair which weave together as the dog gets older: a dense oily undercoat made up of fine hairs, a longer type of hair which is harsher and similar to a goat's and a woolly top coat. 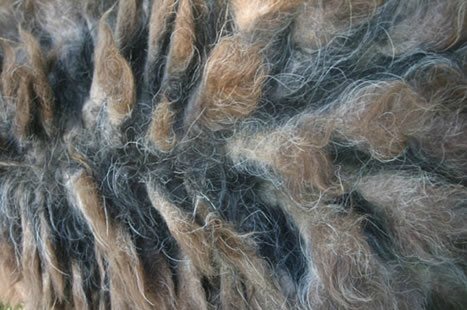 The weaving of these three types of hairs together produces flat flocks of hair which feels like felt. This was used to keep the Bergamasco warm in cold climates and as such, hair shedding is minimal so these dogs are considered good for people with allergies to dog fur. He can be a little suspicious and dis-trustful of strangers, although he isn't aggressive and he remains very loyal to his owner. The Bergamasco Sheepdog gets on well with other dogs as long as he doesn't view them as being a threat to him and as for cats, they should be fine too. Even better if you can raise them both together whilst young. 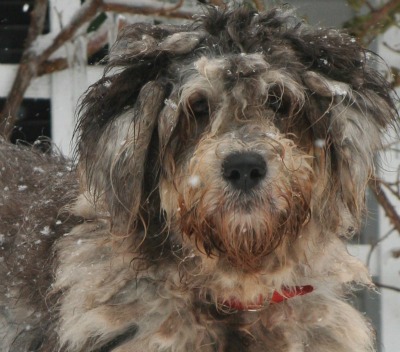 The Bergamasco Sheepdog is an ancient breed which has remained unchanged for centuries. 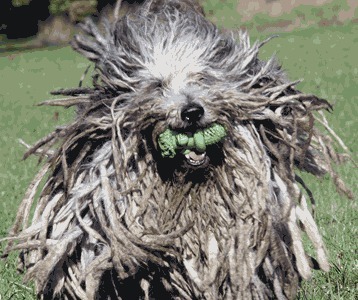 It is thought that the first Bergamasco dogs originated from Asia. They were brought across by the migrating Asians who were heading West, looking for fresh pastures. They passed through Anatolia, the Caucasus Mountain Range at the border of Europe and Asia, The Carpathian Mountains of Central And Eastern Europe and The Alps before ending up at the Italian Alps near Bergamo - hence the name. They were used for herding and guarding the sheep up in the mountains - a job they were perfectly suited to due to their dense, woolly, weather resistant coat - and the breed never changed for several hundred years. After World World II, everything changed. Tourism sprung up and the demand for wool declined. Less wool demand meant less sheep which meant less need for the Bergamasco Shepherd. 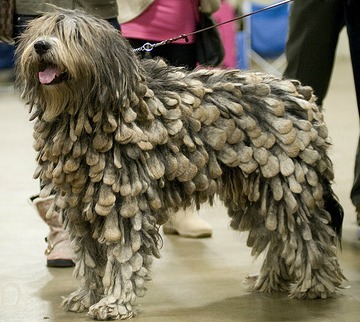 The Bergamasco Sheepdog very nearly became extinct but for the love and perseverance of an Italian breeder named Dr Maria Andreoli who took it upon herself to save the breed during the 1960s. She worked hard over the following 40 years and in the mid 1990s the first imported Bergamasco Sheepdogs made it to the US. At last count the numbers were around 600 so although the numbers are rising, it still remains a very rare breed. The Bergamasco Sheepdog is an intelligent breed which is easy to train using positive reward methods. He should be socialised from an early age to avoid problems later. Shepherds needed them to be able to do a lot of problem solving on their own without having to be given commands constantly so the breed evolved into an independent, intelligent one. Make sure you are firm but kind - Bergamasco Sheepdog's like strong leaders to look up to. If you live on a large farm or own a lot of land then the Bergamasco should be able to receive all his required exercise from running around there. Otherwise, he needs long walks or lots of playtime with children. Bergamasco Shepherds are not instinctively aggressive but they are naturally a little suspicious of strangers initially. Originally they needed to be gentle enough to look after sheep and yet courageous enough to be able to fight off any wild animals which were looking for a free lunch in the form of the Bergamasco's herd. Nowadays most Bergamasco Sheepdog's are used as watchdogs or companions. The Bergamasco needs a perhaps surprising amount of grooming. Well, not grooming as such -more, it needs an eye kept on it's hair as it grows and weaves together. I've written a more detailed Bergamasco grooming guide here as it was too long for this one page! 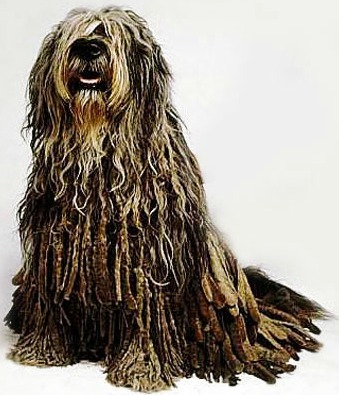 The Bergamasco dog breed is a very healthy one. At the moment there are no known problems from which it suffers! 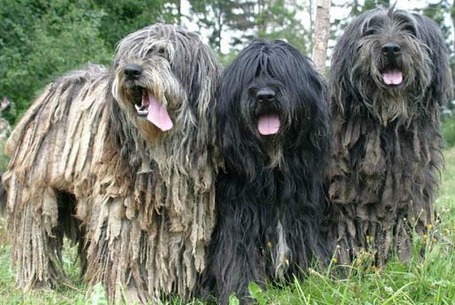 Here is a very cute video of a group of Bergamasco Sheepdogs. 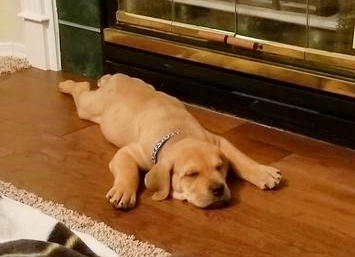 The puppies are so sweet! I couldn't find any! If you know of any them let me know!